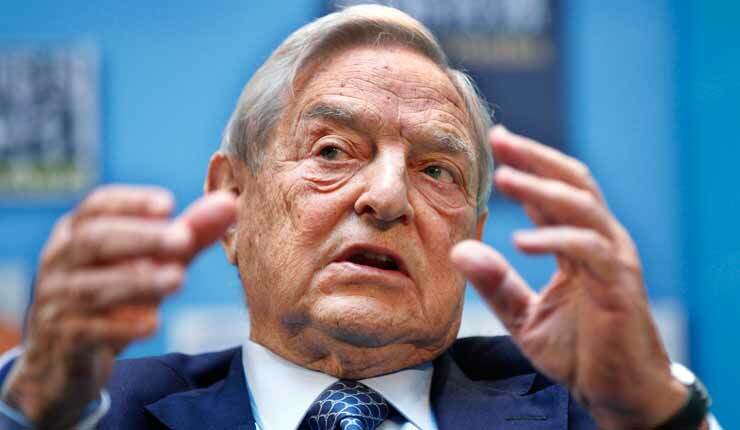 The recent hack of George Soros’ “charitable” giving revealed nothing new. The man who told journalist Steve Kroft in a televised interview that roaming the streets of Budapest with his faux godfather to confiscate the property of his fellow Jews for the Nazis was the most exhilarating time of his life has long had a problem with both his Jewish roots and the creation of a Jewish state. Most revealing in the interview was Soros’ comment that he felt no guilt about what he had done during the war years—not even survivor’s guilt, common among those who live through a catastrophe, troubled him. So, the emergence of documentation showing how Soros funds those whose goal is to destroy the Jewish character of Israel—if not the Jewish state itself—is in keeping with the very essence of a man who as a child so identified with the aggressor that he relished the experience of working for the Nazis. Ironically, when those who want to vilify Jews need a role model that conforms to their framing of a fictional and vile Jewish character, Soros figures prominently. Yet, Soros’ pattern of funding and political backing generally resembles that of the neo-Nazis and Islamists who so conveniently find something in Soros’ Jewishness to decry. It is not surprising that Democratic vice presidential candidate Tim Kaine is hobnobbing with Alexander Soros, George’s son and intellectual heir apparent. Alexander Soros is a big fan of Tim Kaine. And so he should be. Kaine is a prominent supporter of President Obama’s ill-conceived and daily-changing Iran deal with its secret memoranda that is not only an existential threat to Israel’s existence but is also changing the balance of power in the entire Middle East. This is all the more problematic as Turkey sinks into internal chaos as a result of the unsuccessful coup, which enhances Iran’s potential as a serious rival. This is the very essence of Soros’ policies, which have shown greater opposition to a Jew building a bathroom in Jerusalem than the ayatollahs building a nuclear weapon in Iran. Soros has repeatedly tried to hide his support for the anti-Zionist Jewish progressive. Consequently, J Street for years denied Soros’ support, which was hidden through a Hong Kong-based cutout. Both Soros’ foundation and the New Israel Fund, another Soros beneficiary, fund Adalah, a group that trains Israeli-Arabs and Jewish progressives to wage lawfare against the Jewish state and is a strong advocate of BDS. In my own experience sitting on a panel with a representative of the New Israel Fund at a synagogue in Oakland, California, the NIF panelist vehemently and with outrage denied the very suggestion that his organization funds Adalah. Yet, it does. Clearly, organizations like J Street and NIF share Soros’ anti-Zionist agenda. Otherwise, they would not receive funds from him. But their sharing of that agenda needs to be hidden from their fellow Jews, who might appropriately conclude that these are not organizations seeking to liberalize the Jewish state as much as they want to destroy it. The revelations from the hack of Soros’ foundation only add support to what we already know. Soros’ agenda is to destroy Israel as a Jewish state, and those who receive money from him share that agenda. Their attempts to distance themselves from Soros simply show that they cannot afford to have the Jewish community comprehend the actual nature of their intentions.